Day twenty of Project 365. Three boats docked for the night. The shot was taken at night through a fence. I used HDR Efex Pro and Lightroom to bring out the detals. 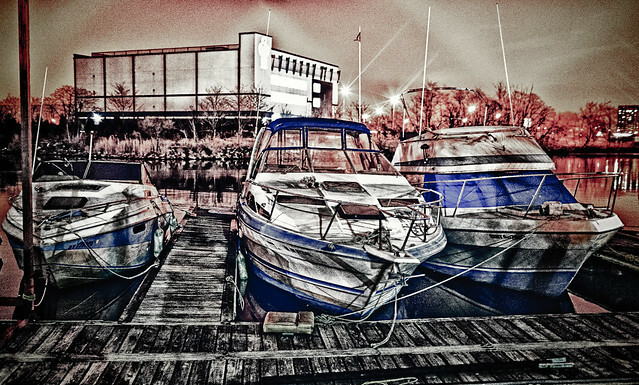 HDR is not for everyone, but I like the sketched look of this image.